Tom has served on IVRS’ Board of Directors since 1998. He has held various roles for multiple terms including Chairperson and Treasurer. Tom worked as a Certified Public Accountant at Price Waterhouse & Company for five years, prior to his career with Avery Dennison Corporation - a Fortune 500 company with over $5 billion in sales revenue. For 32 years Tom worked in various accounting and finance positions, and for his last 10 years with Avery Dennison he served as Vice President/Controller of the corporation up until his retirement. Tom was a key member of the team whose expertise helped facilitate the issuance of a $6.5 million bond required for IVRS to purchase its 4-acre residential campus and surrounding buildings, one of which now houses IVRS administrative headquarters. For many years, Tom and his wonderful wife, Laura have whole heartedly supported IVRS and its mission. My wife Rory and I have been together for almost 10 years; we have a 1-year-old daughter named Mazie. My wife and I have degrees from Arizona State University, mine in Financial Services and my wife’s a Masters in Curriculum and Instruction. 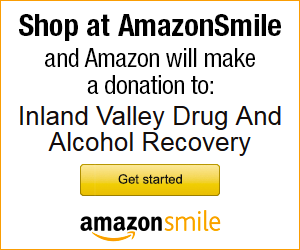 We have personal reasons for wanting to give back to an organization that helps alcoholics and addicts find recovery. My Father passed away a few years ago from Alcoholism and I have current family members that struggle with alcoholism/addiction. Both my parents are from Upland/Ontario, they met while attending Chaffey High School. My career is in wealth management, I am currently with the company Edward Jones. As a wealth manager, I believe in giving back to my community and helping people achieve their financial goals, like putting kids through College or saving for a successful and well funded retirement. For fun I enjoy family time and singing and playing guitar. Judy joined the Board in 2015. She worked as a clinical therapist for over 20 years specializing in children and family services, with focus on drug and alcohol recovery. She served as an adjunct professor and EOPS counselor at Chaffey Colleges, and is currently a member of several community organizations. Neil came to Southern CA from Ireland in 1961. For 15 years he served in the Catholic Ministry of the Arch Diocese of Los Angeles. 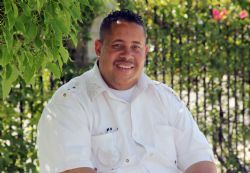 Subsequently, he went to work for Everett Charles Companies in Pomona, and then ultimately became Vice President of Administration and Racing at the L.A. County Fair, from which he retired in 2009. He is Past President of the Board for both Pomona and Laverne Chambers. 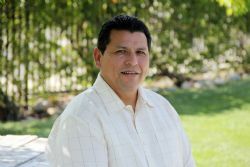 He has served on the Board of Directors’ of McKinley Children’s Center; Pomona Valley Hospital Foundation’ and served as President of the Board of Community Senior Services located in Claremont. Neil lives in Upland with his wife, Michelle. He joined IVRS’ Board in 2012 and is currently Vice Chair. Neil is also getting ready to serve his 2nd year as Chair for the agencies’ annual Chili Cook-off Fundraising Committee. Phillip Lovelady comes to IVRS with background and experience in education, fundraising, marketing, strategic planning, entrepreneurship and public relations. A graduate of California State University, Fullerton and California State Polytechnic University, Pomona, Phillip is currently retired from Education Textbook Publishing, SRA/McGraw-Hill Publishers Inc. In honor of friends and family affected by addiction, Phillip began his service on the IVRS Board of Directors in 2016 and currently serves on the program committee as well. In addition, Phillip is on the Board of Directors for Highlander Education Foundation and is part of the President’s Club, IBM, Top National Sales, IBM/SRA Publishers Inc. Phillip is a devoted husband, father and grandfather and spends his time giving to his community by being an active member with the Upland-Foothill Kiwanis. Phillip is a past distinguished president of Kiwanis and currently is the Membership Education Chair and the Young Citizens Award Chair. Sid Robinson joined the Inland Valley Recovery Services board of directors in 2016. 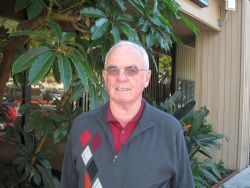 A 30-year resident of Upland, Robinson has been an active member and influential leader in the community for many years. He serves on the Upland City Council and was previously a member of the Upland Planning Commission. Owner of Upland-based strategic communications firm Robinson and Associates, Sid has enjoyed a successful and diverse career as a strategic communicator and public relations professional spanning more than 32 years, launching his own firm after a long tenure as Associate Vice President for Public Affairs at Cal State San Bernardino. He is now an adjunct professor at CSUSB. Previously, Robinson worked in public relations positions at Fairplex in Pomona and with Magnet Communications and the Los Angeles Dodgers. In addition to his board position with IVRS, Sid currently serves on the board or directors of the Upland Veterans Monument Project, Upland Chamber of Commerce and Upland-Fairplex Community Committee. 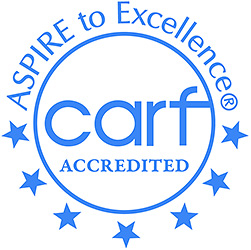 He is APR-accredited by the Public Relations Society of America. Olivia Sevilla, Ed.D. LCSW, for over 25 years, served as Executive Director of Bilingual Family Counseling Service, Inc., a community-based outpatient mental health clinic. Her experience includes multi-cultural program development as well as community and collaborative leadership. Dr. Sevilla also has many years providing direct clinical work and clinical supervision in the areas of school-based mental health, crisis response, substance abuse treatment, trauma-focused work with children and adults including family violence, and outpatient mental health treatment. Dr. Sevilla received her Master’s degree in social work at the University of Southern California, and her Doctorate in organizational leadership at University of La Verne. She currently teaches full time in the graduate social work program at Azusa Pacific University. Jan W. Vandersande Ph.D. received his B.A. with Honors from Swarthmore College, his M.Sc. in Physics from Cornell University and his Ph.D. in Physics from the University of the Witwatersrand, Johannesburg, South Africa. He was a lecturer, then an Assistant Professor at the University of the Witwatersrand and then a visiting Associate Professor at Cornell University. Before working at the Jet Propulsion Laboratory (JPL) –part of Caltech/NASA- for eleven years he was a stock market analyst at the brokerage firm Rodman & Renshaw in Chicago for a year. At JPL he was a Technical Group Leader and worked on power sources for space applications. After leaving JPL, he was the President & CEO of the AMEX listed company Mountain Province Diamonds Inc. for eight years. He has had over 80 scientific articles published in scientific journals and conference proceedings and has three patents. He is the author of the book “Life after Death: Some of the Best Evidence”. He has also written several articles describing the séances with mediums David Thompson and Kai Mugge that he organized. He is currently sitting in a developmental circle that already has table levitation and chimes ringing independently. He is also the author of the booklet “A Short and Simple Guide to the Best Bets in the Casino”.